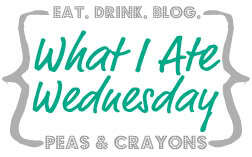 It feels like forever since I did a WIAW post! For some reason, even though these are some of my favorite posts, they tend to get lost in the hustle and bustle of hump day. The week just flies by and sometimes the last thing I have time to do is document what I eat (even though I always take pictures of everything anyway, much to the annoyance of people around me). 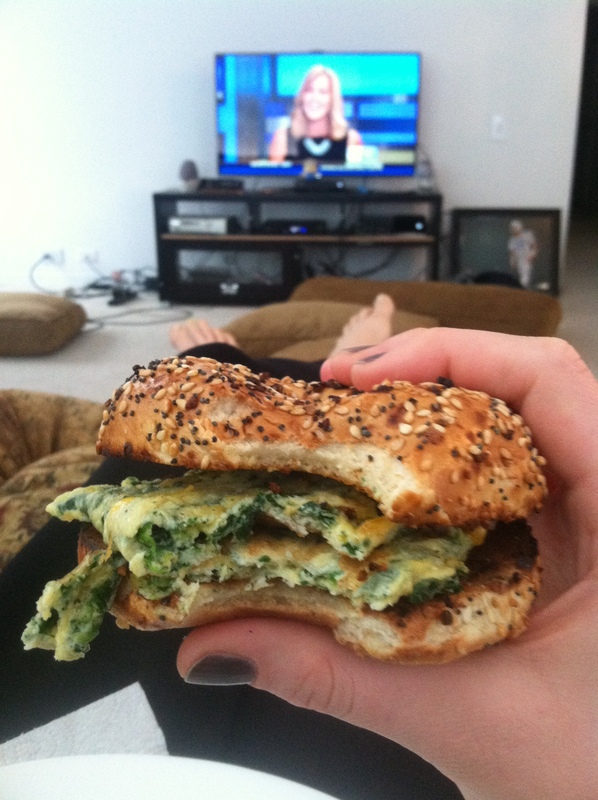 Yesterday I woke up on time, no snooze button, and got ready for work while preparing an everything bagel sandwich. After burning my first bagel to a crisp I was able to settle down with my oooey gooey cheesy bagel sandwich and watch a little GMA and drink some hot coffee. Those are my favorite kind of mornings. Lunch was a quick bowl of soup at Corner Bakery. Chicken tortilla, something I’ve actually been craving a lot lately. I’ve been trying to find time to make Pioneer Woman’s recipe. 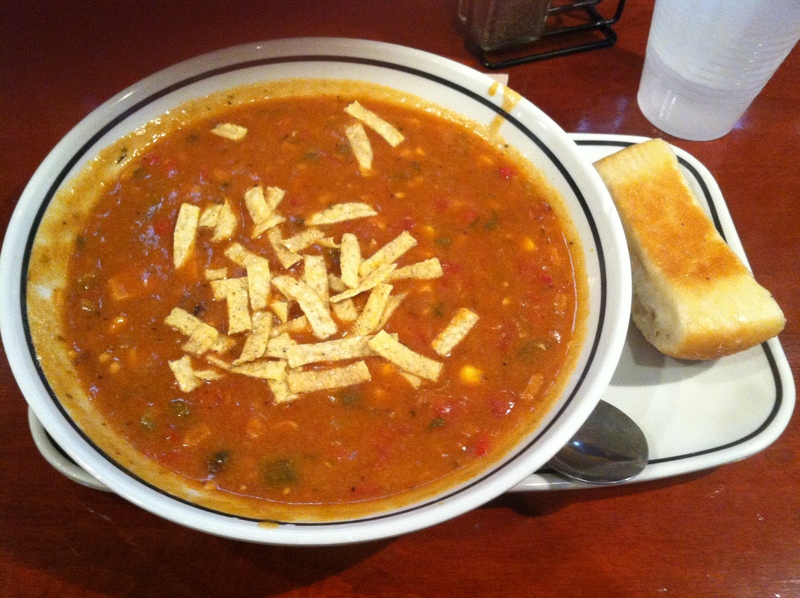 With this cold there’s nothing better than a big bowl of soup, and Corner Bakery makes some of the best. It’s full of chicken and vegetables and it’s pretty darn spicy! My coworker came back from CVS later in the afternoon and offered me a Naked juice. I usually only drink the Green Machine ones (I don’t really like replacing whole fruits with fruit juice) but for some reason I was extra hungry today so I took it. 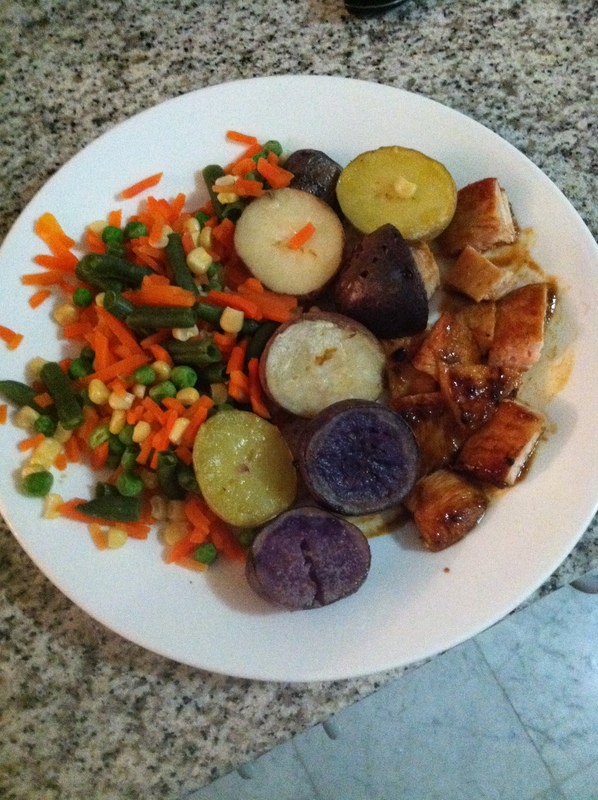 It was delicious but instead of doing me any good it only made me even hungrier about 30 minutes later. Mistake, noted. I ended the night getting in a quick workout. 50 minutes on the elliptical while watching Vanderpump Rules (the definition of trash TV but I lovvvvvvvvvvvvvvvve it…am I alone?) followed by a quick strength workout using only these tools. 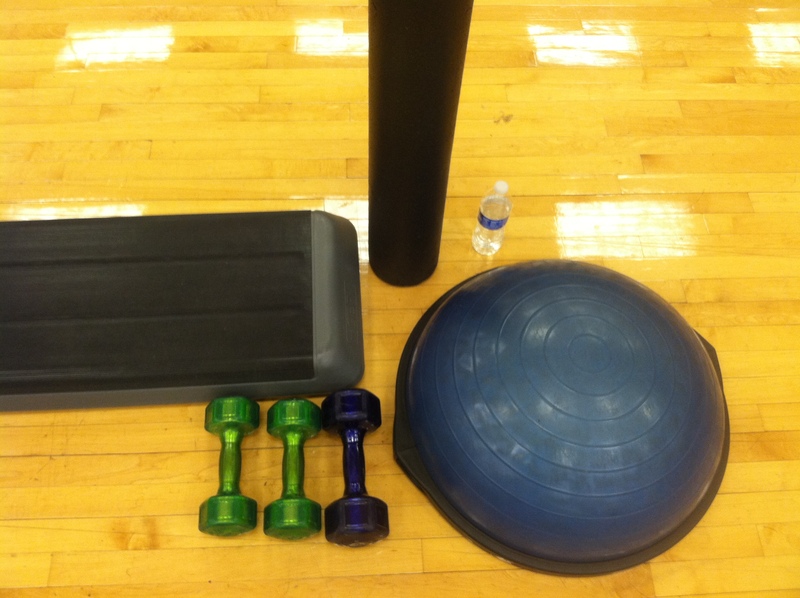 Using her ideas, I performed my usual bicep and tricep exercises with a step and a bosu ball. I started by standing on the step with 10 pound weights in each hand. Then I stepped backwards and down into a lunge while doing bicep curls at the same time. Not only was I working my biceps, but I was getting in an awesome leg workout too! After that I performed standing overhead tricep extensions with a 15 pound dumbell while balancing on a bosu ball. My triceps and my abs were challenged simultaneously. I couldn’t believe that I hadn’t thought of doing exercises this way before! Two for one woooo! I followed the whole thing with some quick foam rolling, something I’ve gotten slightly better at lately. At least it’s starting to hurt less! So today is hump day—any big plans for anyone? I’m currently dreaming of taking a Moroccan vacation after walking face first into a snowstorm this morning. If you could visit anywhere in the world today, where would you go? Morocco or Tahiti for me! ← Fit Tip Tuesday: snacks! I haven’t tried naked juice but really want . 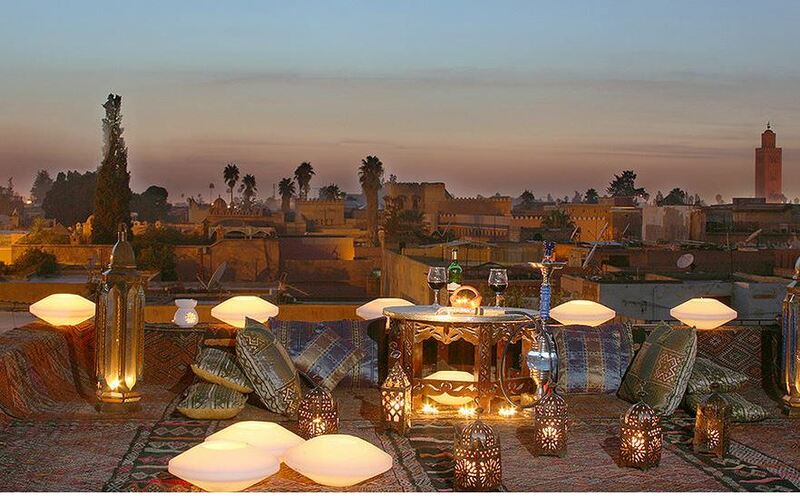 I WANT TO GO TO MOROCCO SO BADLY – SO BADLY I tell you! However…. I was told that in Morocco you can hardly do anything – because we are ladies, and ladies have STRICT rules there. So that kind of turned me off. I think I will go to SPAIN and then take a ferry over to Morocco for a day, eat some deliciousness and return back to Spain. But honestly, I WOULD LOVE TO GO ON AN AFRICAN SAFARI!!!! Shooting don’t want no rules when I’m on vacation! Okay….Tahiti it is! I just need a beach ASAP but an African Safari sounds awesome too!! Imagine riding GIRAFFES! ahhhh! I die!